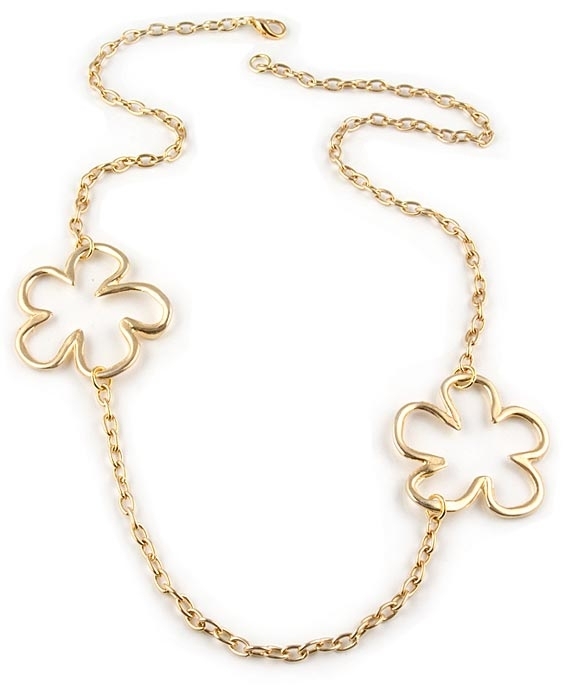 This elegant necklace features two 45mm gold-platted brass flowers and a gold chain. 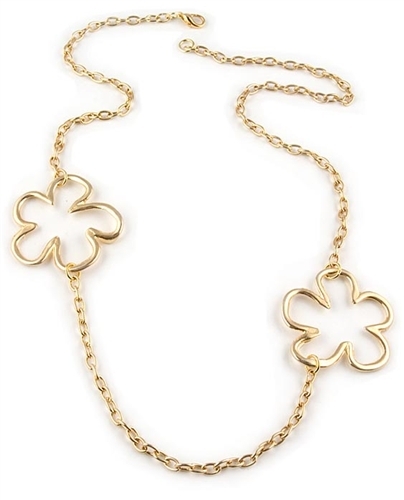 Necklace measures 70cm (27.6") in total length and fastens with a lobster clasp. Length: 70cm / 27.6 "